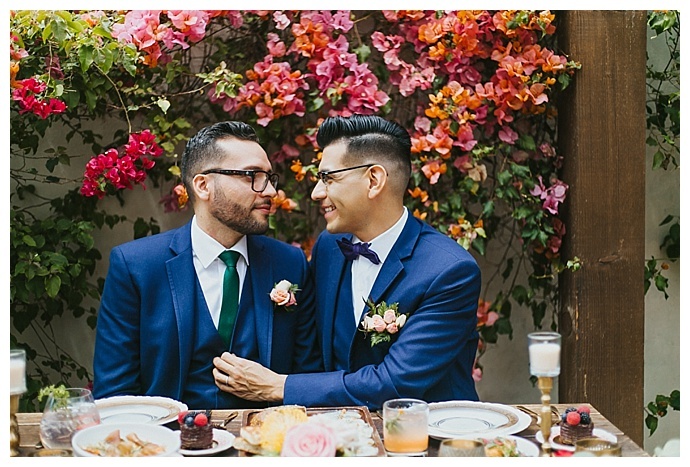 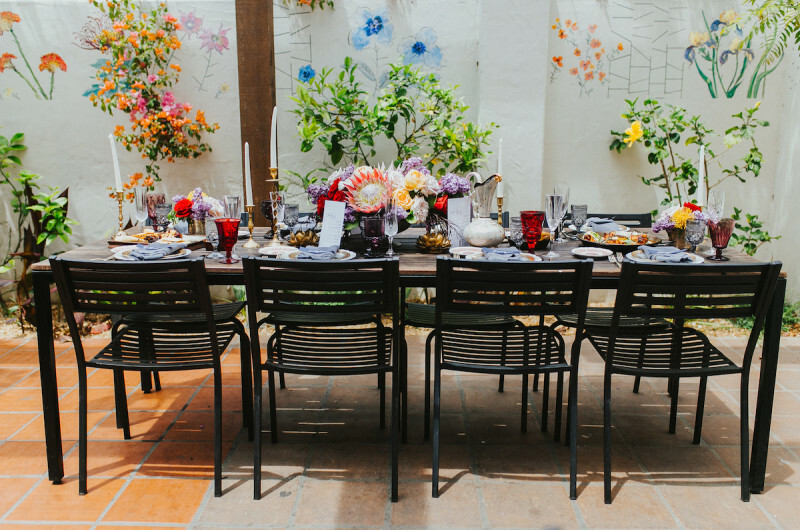 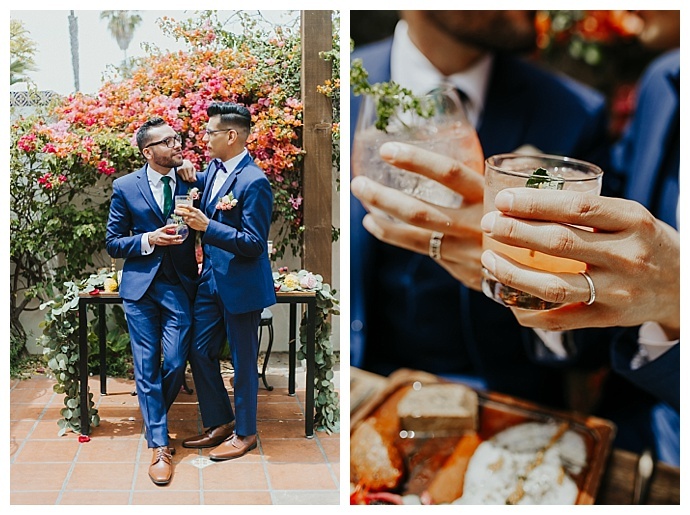 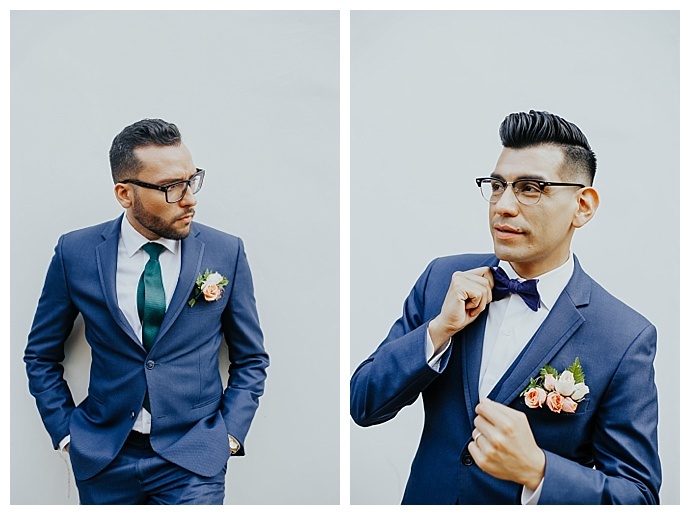 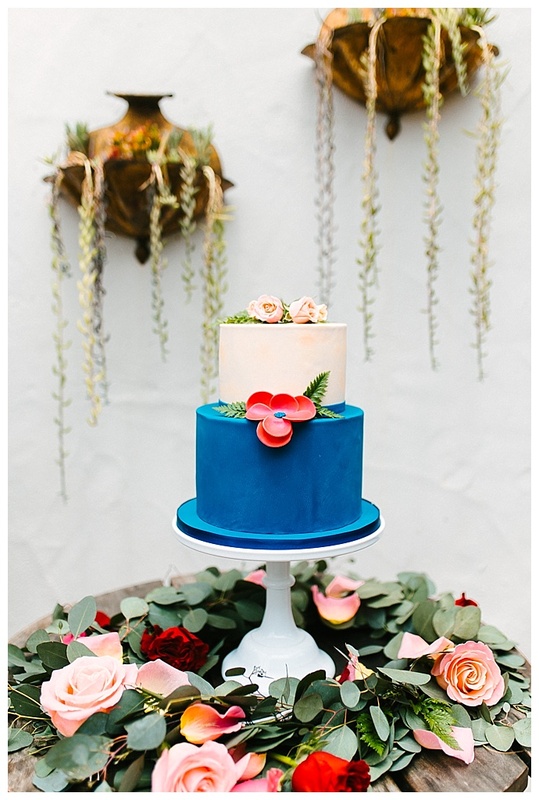 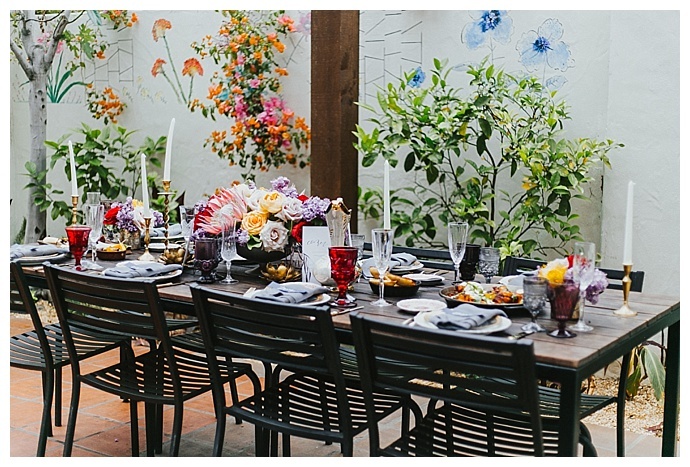 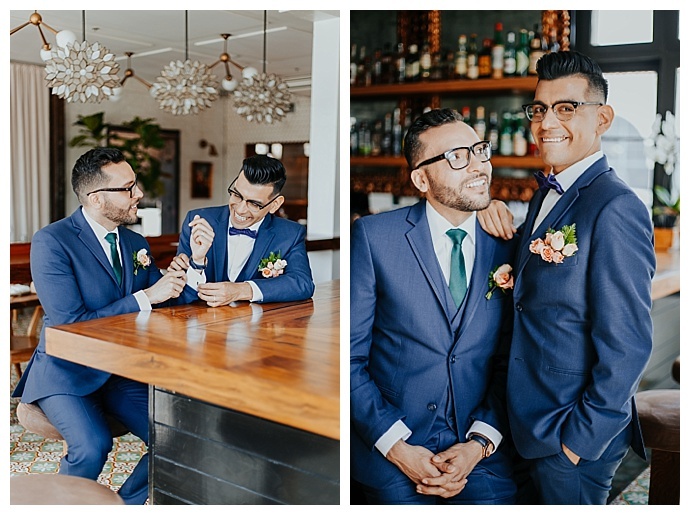 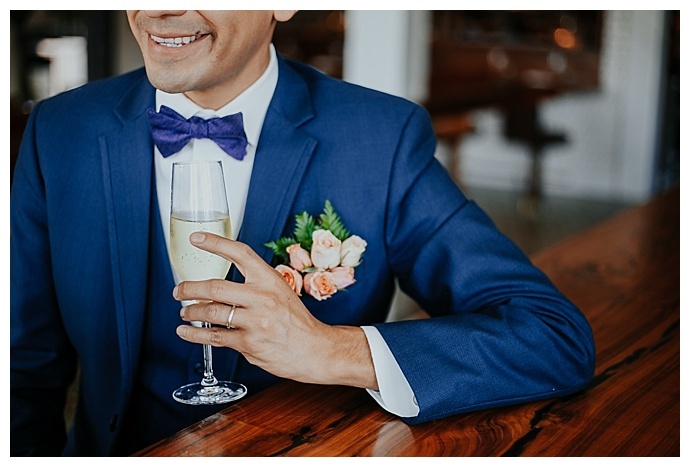 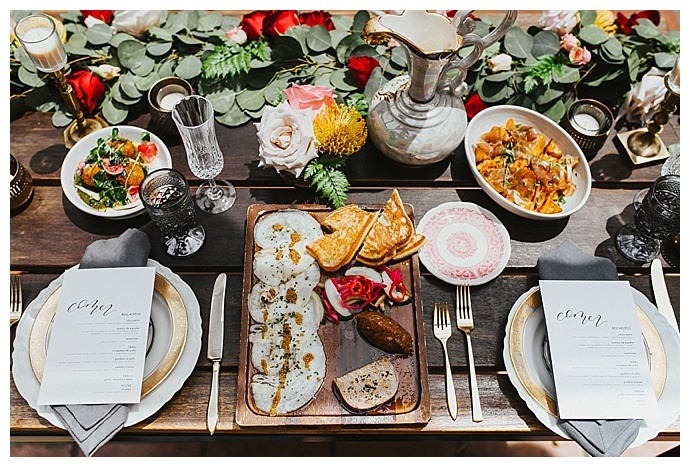 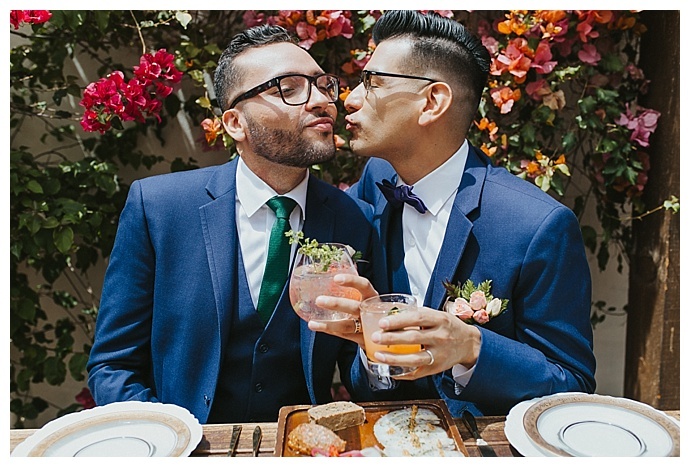 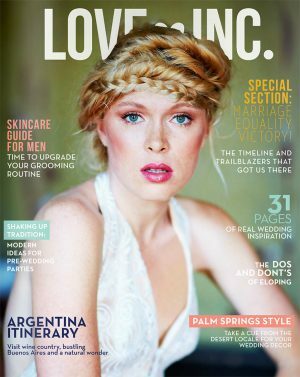 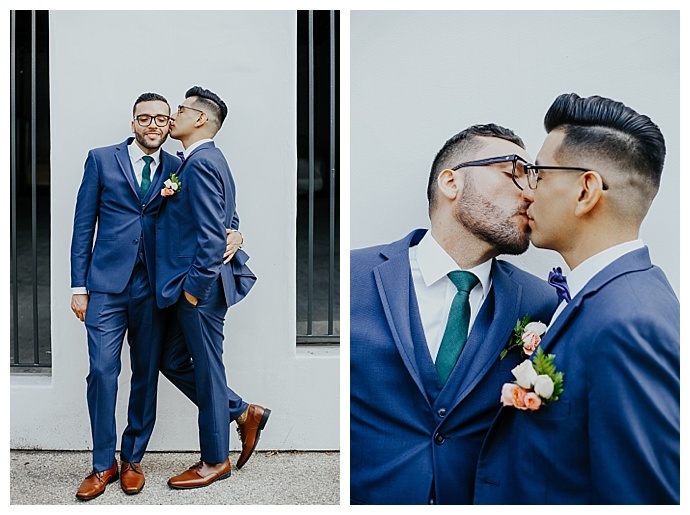 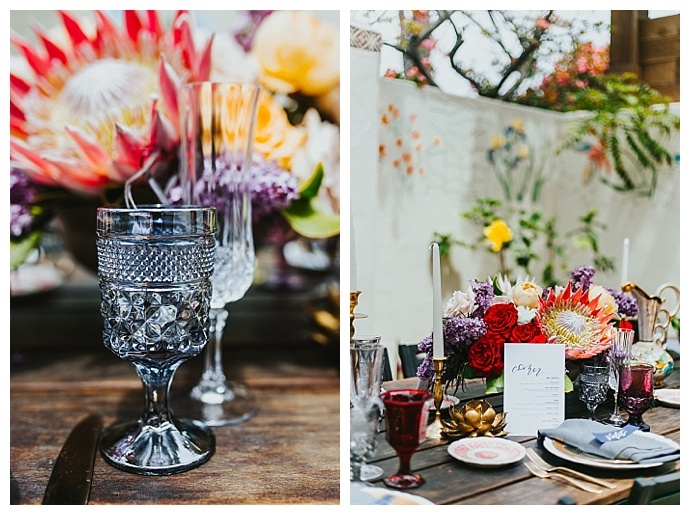 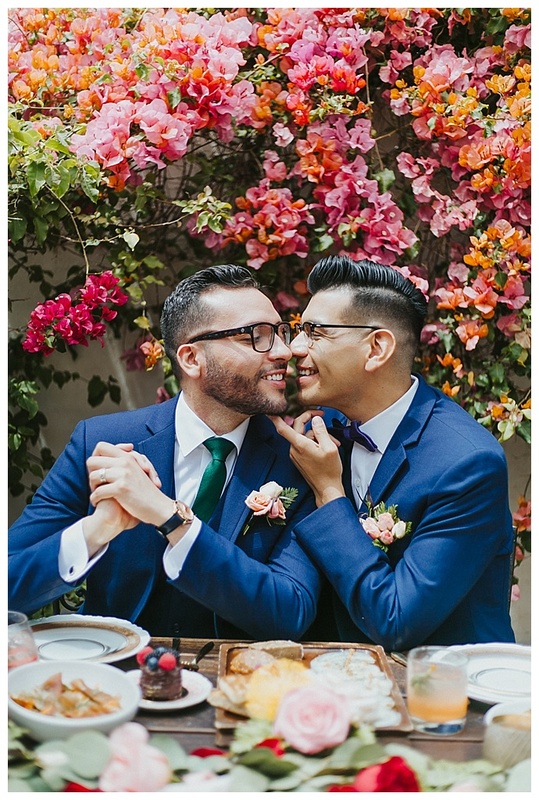 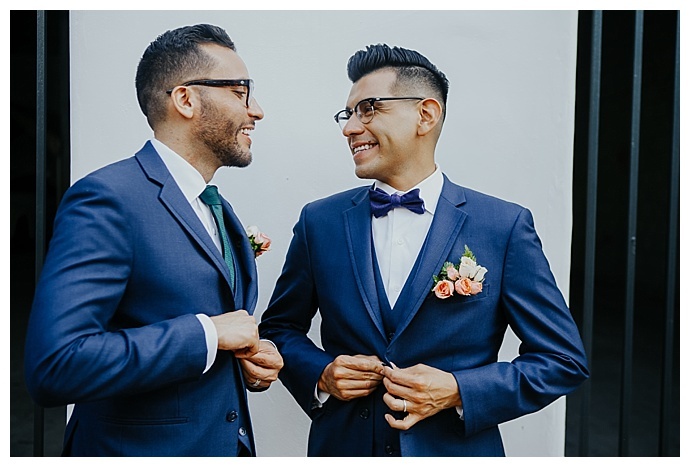 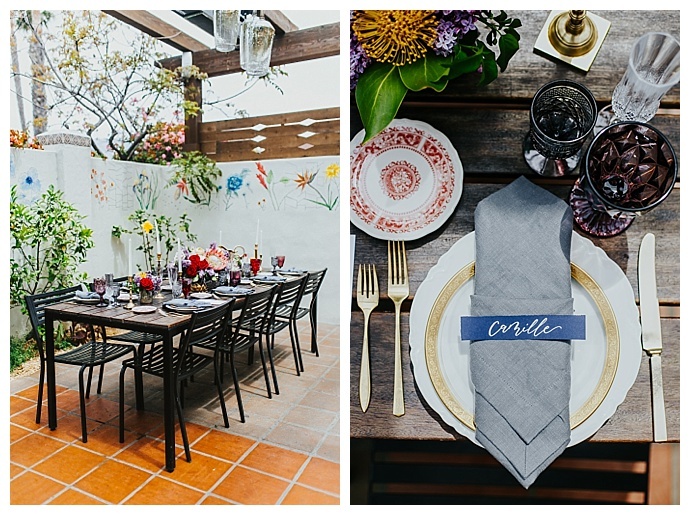 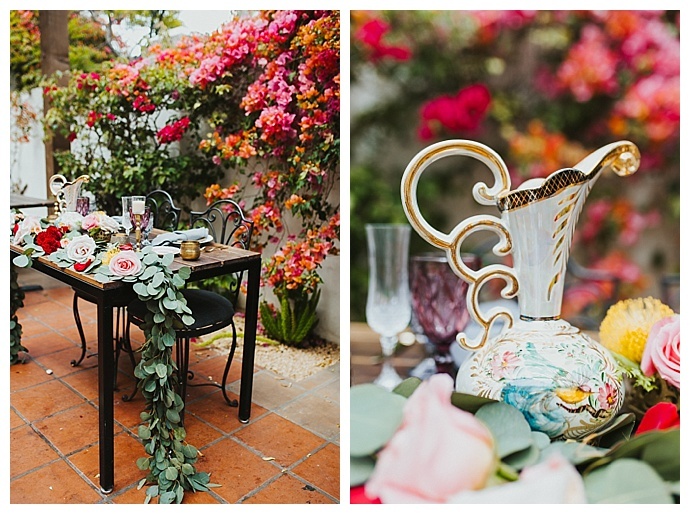 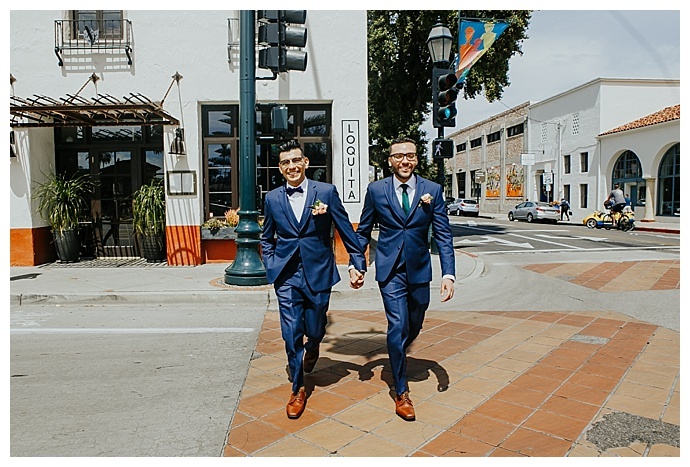 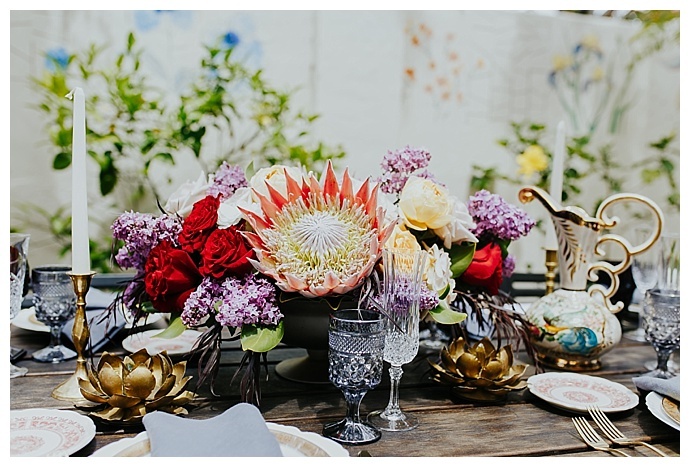 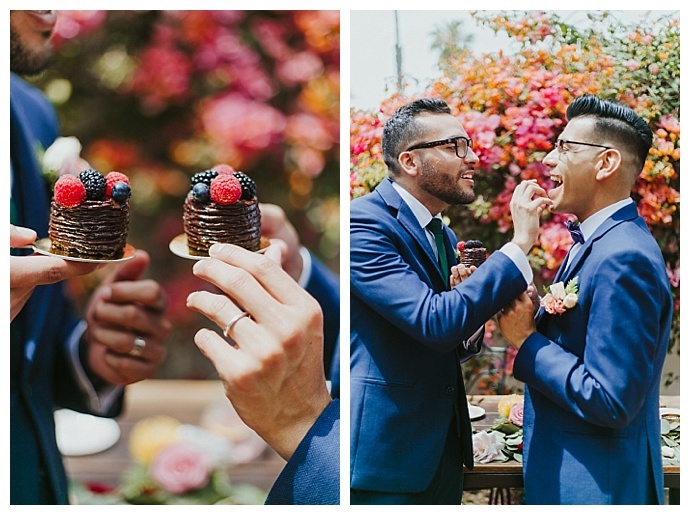 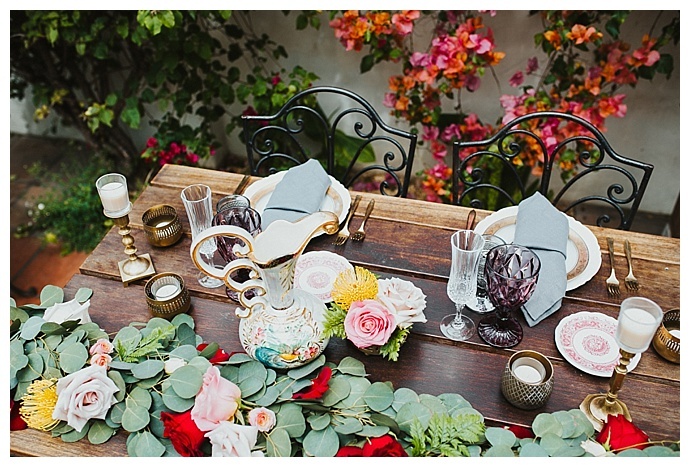 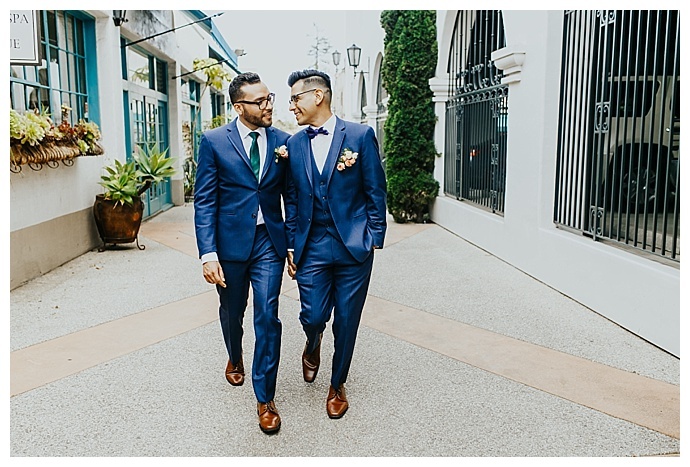 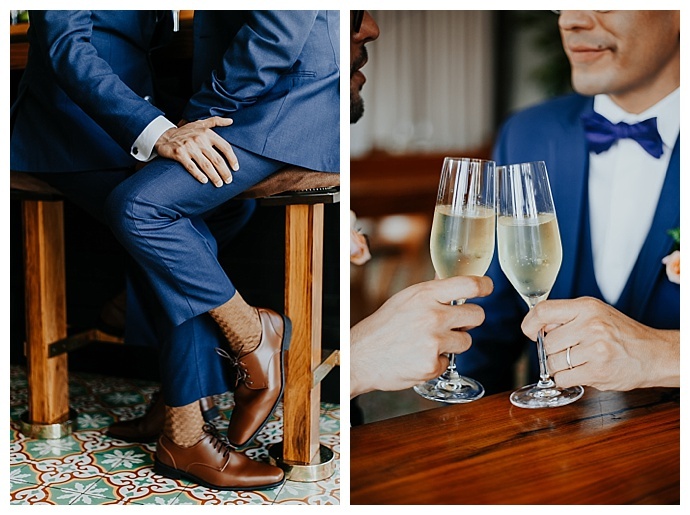 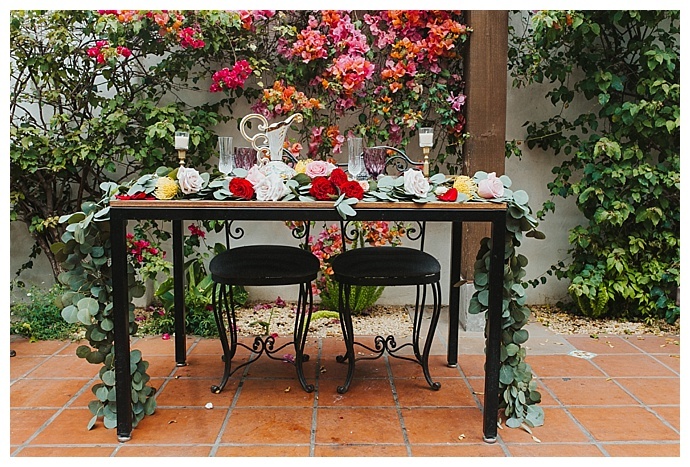 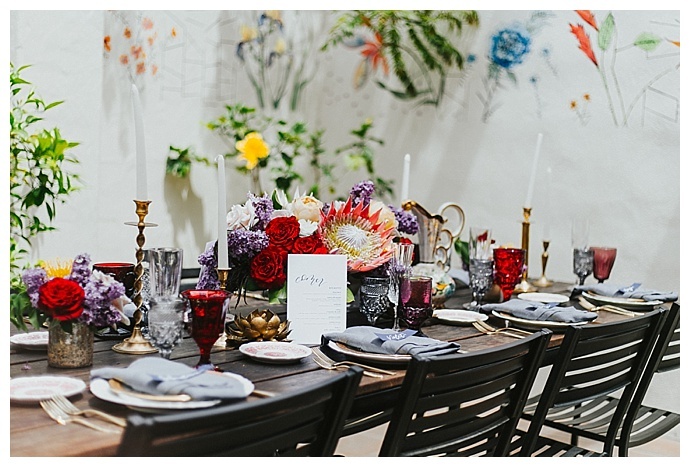 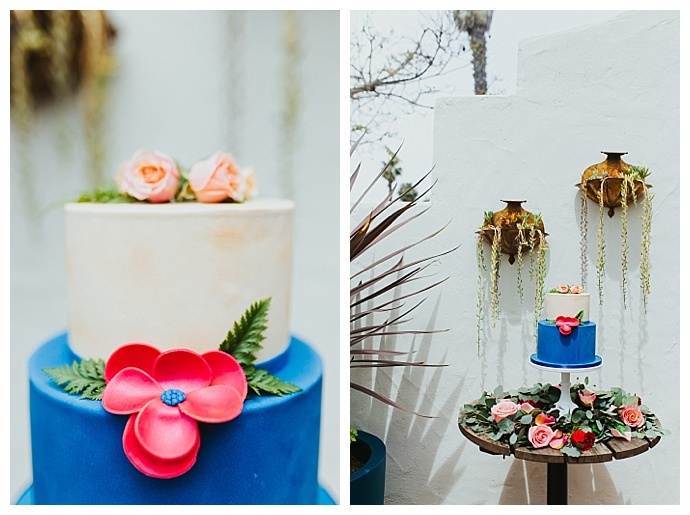 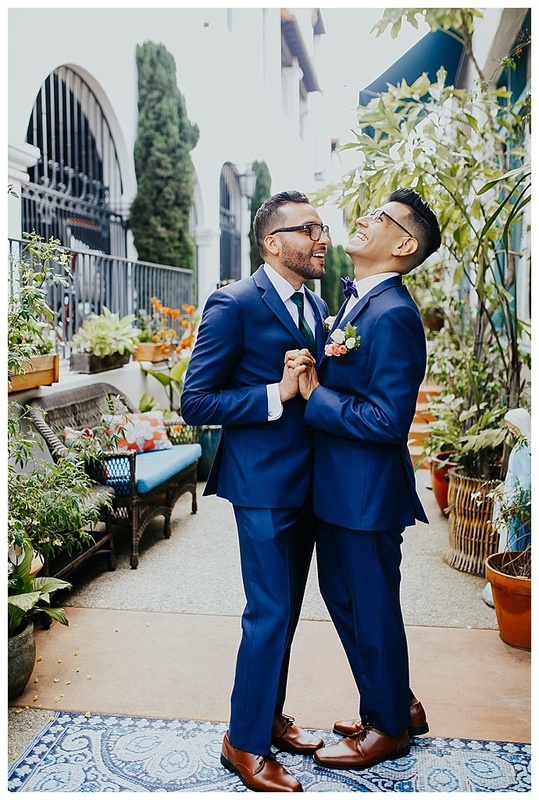 The coastal city of central California, known for its vibrant and colorful setting and rows of Spanish-style homes, became a quick source of inspiration for the Santa Barbara creatives who collaborated on this stunning Spanish-inspired styled shoot. 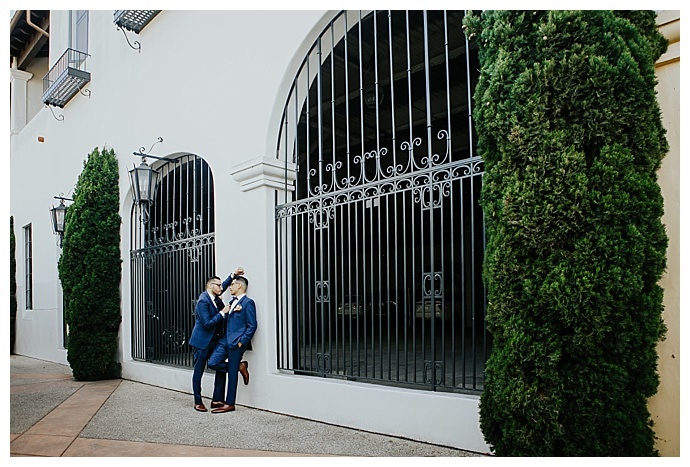 On the cozy, idyllic patio of Loquita, a restaurant serving authentic Spanish cuisine just blocks from the beach, Megan Blowey Photography captured two dashing and stylish, head-over-heels-in-love grooms and the striking colorful details that mirror the Spanish and Mediterranean influences of downtown Santa Barbara. 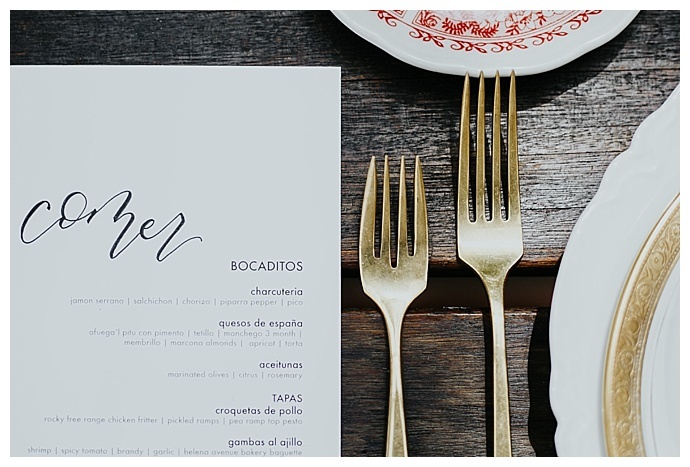 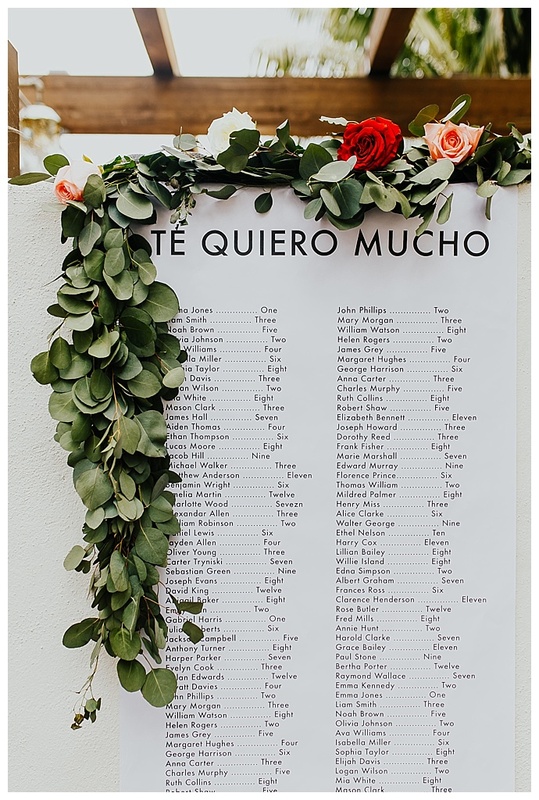 Diana Sabb Events and Designs incorporated authentic Spanish elements into the design, including a seating chart scrawled with “Te Quiero Mucho,” meaning I love you very much, at the top as well as menu cards detailing the delectable dishes, including a charcuterie spread, tapas, paellas and sweet churros for dessert, with the word “Comer,” meaning to eat, at the top. 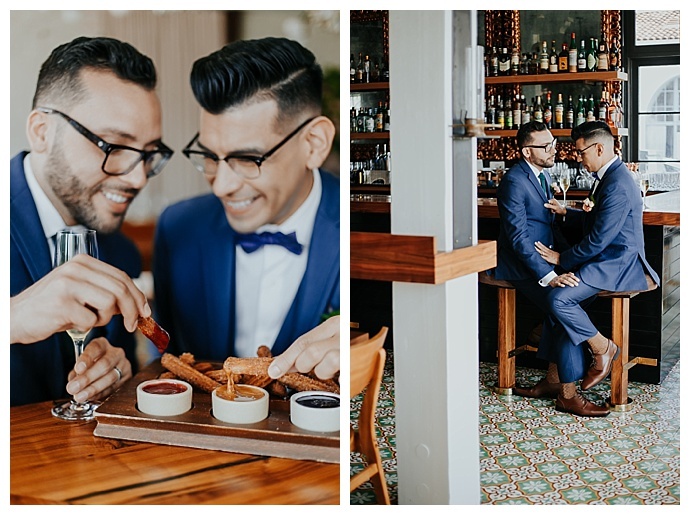 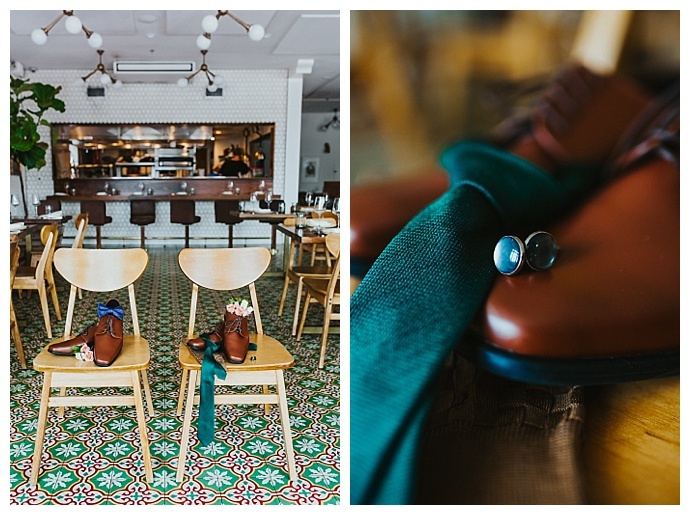 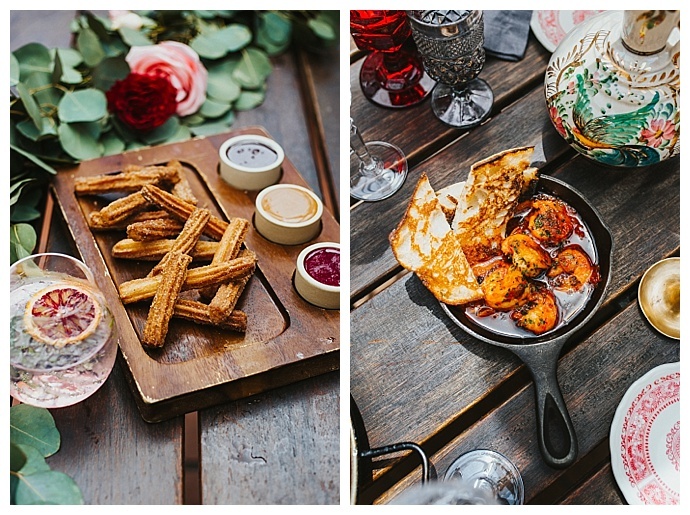 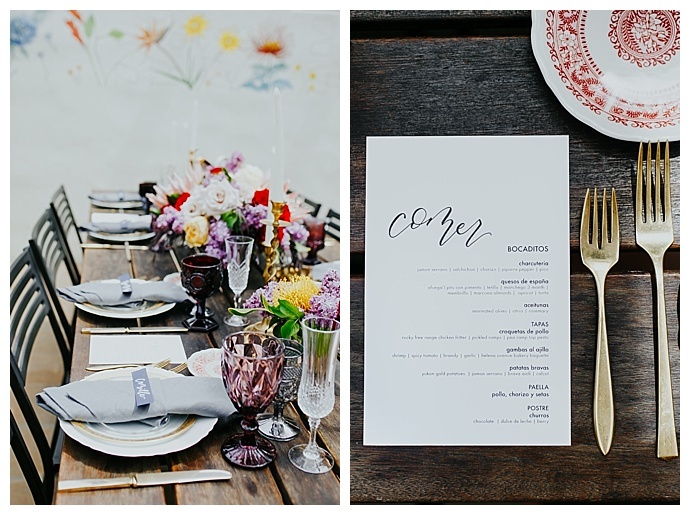 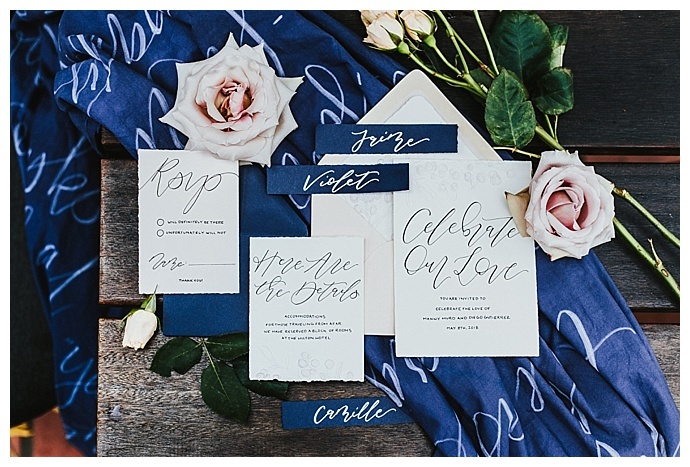 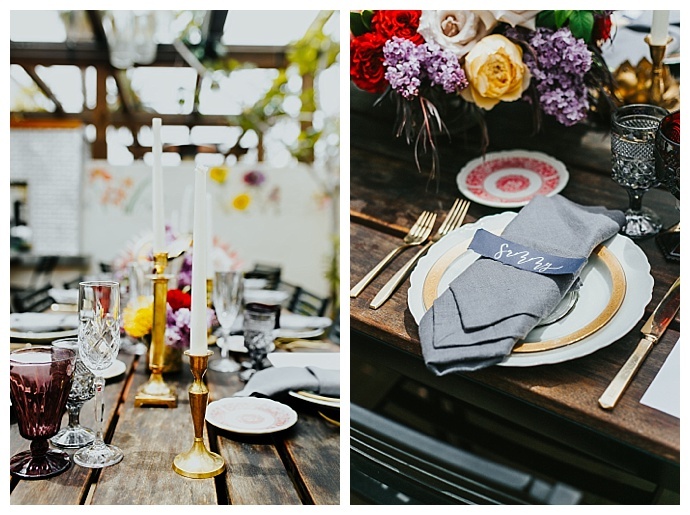 With delicious food, hand-crafted cocktails, hand lettered details and plenty of love in the air, this styled shoot is oozing with inspiration.